Written by Gerry Duggan. Art by Frazer Irving. Cover by Aaron Kuder. Gamora - the most dangerous person in the galaxy and the Guardians' resident woman of mystery - has been hiding something from her teammates. What is her secret quest, and how did it find her? 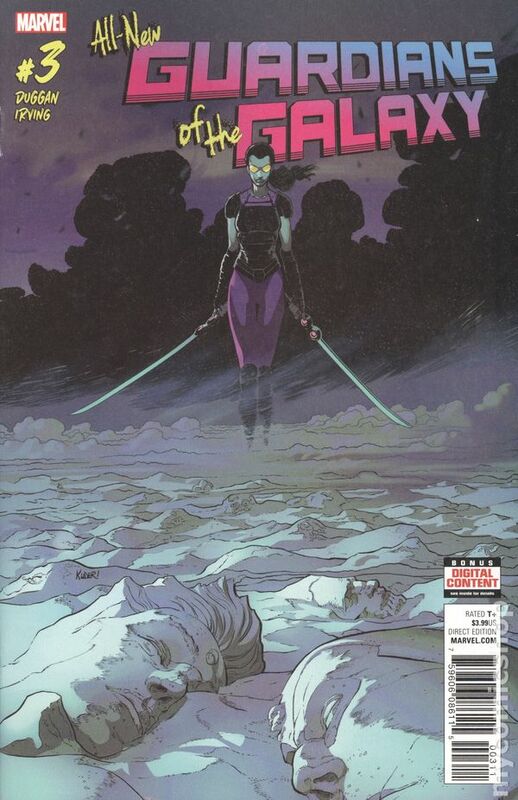 Guest artist Frazer Irving joins writer Gerry Duggan to reveal the soul of Gamora's obsession… 28 pages, full color. Rated T+ Cover price $3.99.